Something I would like to chat about is the control of your scent. You understand the problem right? Deer have amazing noses and can smell you coming a mile away. The only way you know is when you don't see any deer. They've got you figured and stay way. So to solve the problem, you must find ways to eliminate, or at least decrease your own scent. That will go a long way to help with your whitetail deer hunting. I've found some great products that help solve this problem. I will only talk about products that I use and endorse. The first weekend of Whitetail Deer Hunting one resent season I thought I was ready to go. I had washed my hunting cloths and then packed them in Hemlock tree branches and put them in the sealed tub I keep in the back of my truck. I have done this each year. No problem at all. Once done I change my cloths outside at my truck before going into the woods. Well this year I did get busted several times opening weekend. My son as well, we could not figure out our problem. One thing to always remember about the whitetail is their nose is 50 to 100 percent better than any dogs nose at smelling scents. Think of this, when a dog can smell drugs in a sealed plastic bag that is awesome. 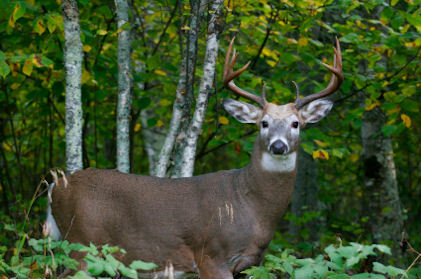 Imagine a whitetail being 50 percent better. We as hunters are in their home so they know and understand our scents. So after we got "busted," we had to take a step back and try something new. A good friend of mine suggested using Dead Down Wind. Well it worked great. I completely rewashed all my cloths in their laundry soap and bought all their personal care products as well. Each day I shower with their soap and and wash my hair as well with their products. I have done so for the entire season. The picture of the buck you see with this article was harvested at 15 yards from the base of my treestand and he came by my stand from the down wind side. My son also is seeing more deer and has not been busted since. All I can say is give it a try, I deal only with Amazon. I have a prime account and it is great as they are. Any problems with a purchase are solved right away. Get out in the woods and please stay safe, identify your target, pick your spot for the shot and wear your treestand safety device if hunting off the gound. Please contact me with any questions, or even your comments on the site and how we can help make it better for you. Welcome to my site and thank you for stopping by, I own two sites, Deer Hunting Advisor and this one, The Whitetail Deer. 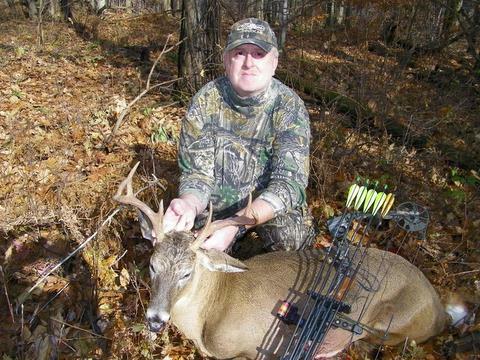 My site the-whitetail-deer was started in 2008. I started it to pass along my information I have learned thru research and studding the whitetail deer. Im just your average Joe hunter. I do have one whitetail deer that has made the record books, but to me each whitetail deer is a trophy. A quick who am I. I started hunting with my Dad long before I was ten years old. He taught me all about safe hunting and respect for all life in the wild. That was almost 50 years ago. I started bow hunting as a teen. I have been very lucky to be able to hunt with some very knowledgeable hunters. Most all of us harvest a buck or two each season. I dedicated my entire life to understanding whitetail deer and continue to learn mostly by being educated by the deer. My goal is to pass what I've learned along to you.